How to pick the right dining chair: Your comprehensive guide to getting it right! 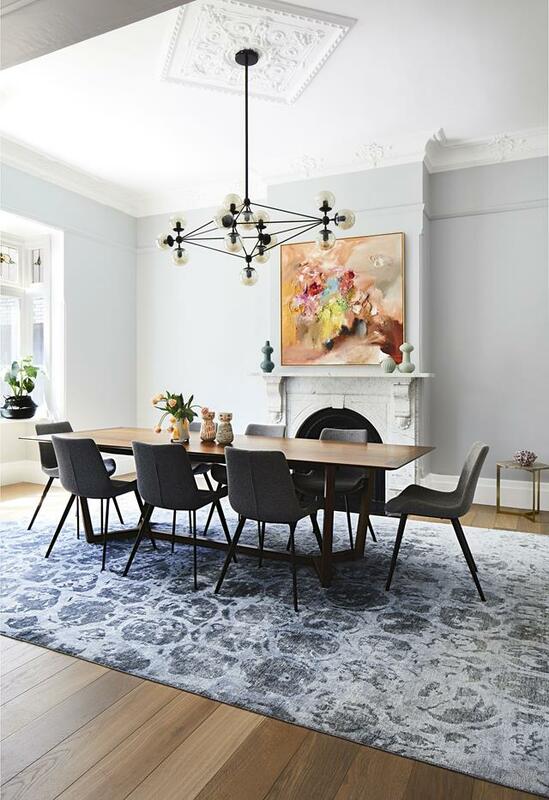 It isn’t until you start shopping for new dining chairs that you realise the decision is far from easy – prices vary significantly, the range of styles is almost endless and then there are all the practical things to consider too. And because the cost of dining chairs can add up quickly (generally we need to buy at least 4-10 of them to complete a set), we’ve created this guide on how to pick the right dining chair! We suggest starting by deciding on what feel or style you want your dining space to have — moody and luxe, airy and coastal, colourful and contemporary or something else. 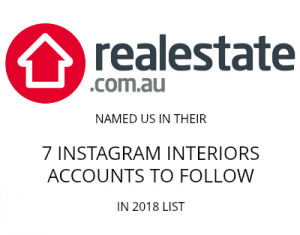 The easiest way to decide on the style you want to achieve is by doing some research on Pinterest, Instagram, other design blogs, flicking through magazines and collecting images of anything that jumps out at you. Many of us are drawn to a broad range of styles so it’s OK if the images you’ve collected don’t tell a similar story. Use our advice on how to create a mood board to narrow down your choices and identify the interior style you want to go ahead with. Once you know the direction you want to take, all the other choices will become a lot more straightforward. A big consideration is the type of material of the chair — upholstered fabric, timber, metal or acrylic are the most common options — and there are pros and cons to each. Upholstered chairs often create a more formal look and can offer greater comfort. They also provide an opportunity to introduce colour and pattern for those wanting to make a bit of a statement in their dining space. One of our favourite dining chairs is the Malmo lounge chair, which ticks the boxes of elegant design, comfort and great price. The downside to upholstered dining chairs is that you cannot simply wipe them clean so if you have young children or pets, you may want to think twice before buying these. Timber dining chairs cover a broad spectrum of styles — from dark and heavy traditional shapes, all the way through to minimal designs in light oak finishes. Regardless of style or finish, wooden dining chairs are generally low maintenance but because of the hard material they can also be uncomfortable. 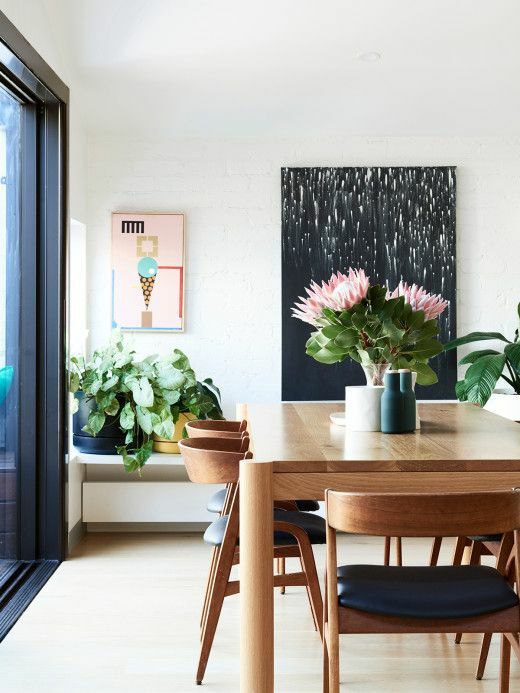 Another thing to consider before buying timber dining chairs are the other timber finishes in your dining space — if you have timber floors or other timber furniture, you want to think about how the different tones will work together. Metal dining chairs are more commonly seen in outdoor settings but there’s a trend to bringing these indoors as well. These are possibly the lowest maintenance chairs you can find but can also look ‘cold’ or ‘hard’ in your dining space (often you’ll see people drape a sheepskin or add seat cushions to soften the look). Comfort can also be an issue so be sure to test them before buying a whole set or check that the store offers refunds if buying online, for example Malmo Living offer a 14 day unconditional return policy. Acrylic dining chairs are incredibly popular as they offer comfort and style, at a great price and are low maintenance. You can also find acrylic dining chairs with timber legs, such as the Woodbridge dining chair pictured below, so you get the benefit of acrylic with the warmth of timber. Another material is rattan or wicker, which offers texture and comfort but can damage easily depending on quality. One of the most important decisions before buying any piece of furniture is considering size or scale. Beautiful furniture can look completely out of place if it appears ‘lost’ in a large space or if it dominates a small space. We always suggest measuring your area and using masking tape to map out the size of the furniture. You want to allow a comfortable amount of space between chairs around your dining table. Don’t forget to measure the height from the floor to table and factor the height of arm rests if you want to slide the dining chairs under the table. Although this isn’t a fun or glamorous job, it’s essential! Too often, people end up furniture that simply doesn’t work. A constraint we wish didn’t exist but does is cost. Dining chairs can range from just a few hundred dollars each to well over $1500 each, and when you consider you need to buy multiple chairs this price difference becomes amplified. But that doesn’t’ mean a small budget has to limit you. By this point of the guide you should know the style and material you want, so get smart about looking for a chair that meets this criteria. Online stores, such as Malmo Living that offer designer furniture for less, can pass on big savings and are a great starting point. If you find a chair you love but can’t afford it just yet, consider subscribing the store’s e-newsletter so you are notified of any sales or deals they may be running. Afterpay or interest-free periods are other things to look out for. It goes without saying that the quality of the chair is important — particularly if you’re looking for pieces that will last the distance (let’s put an end to this disposable furniture era). Dining chairs can be put to the test with the weight they have to carry so you want to make sure you buy one that is structurally sound. Deciding on an arm or armless dining chair is another variable (although this can fall under the style section above). It’s a personal choice whether you want to have arms or not, and you can even mix things up by having dining chairs with arms at the head of the table and armless chairs on the sides. 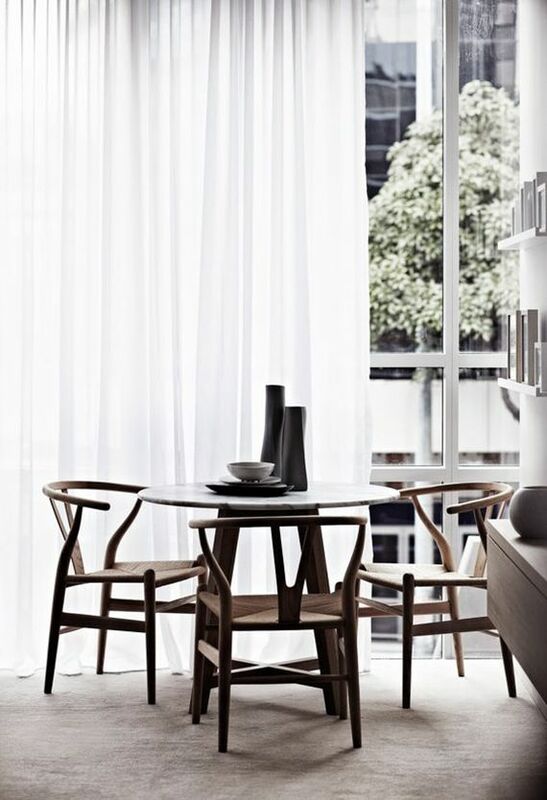 Armless dining chairs take up less space around the table, as well as less visual space (for those of you who have small dining spaces and want to create the illusion of space). Are there any other decisions to buying a dining chair we haven’t covered? Let us know if we can offer more advice by leaving a comment below.